A nurse at Darent Valley Hospital in Dartford, Kent, who gave a patient a bible she did not want and spoke about religion with patients has been dismissed by the hospital. Sarah Kuteh received repeated warnings over the ‘unwanted discussions’ but continued to talk about religion with people. Kuteh said she sees preaching as part of her job because she helped people fill out questionnaires that included a question about religion. However, she said she was not going to let the matter lie low. With the help of the Christian Legal Centre, she is taking Dartford and Gravesham NHS Trust to tribunal for unfair dismissal. 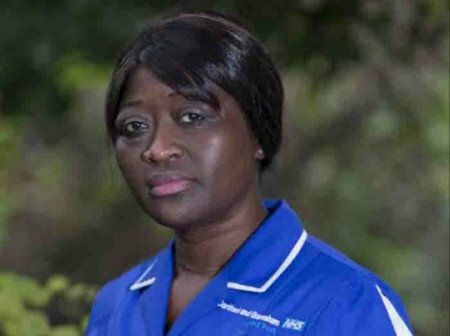 Mrs Kuteh believes her sacking from Darent Valley hospital in Dartford, Kent, was ‘disproportionate and punitive’.